4th of July rose (in our own garden!) is red and white stripes. 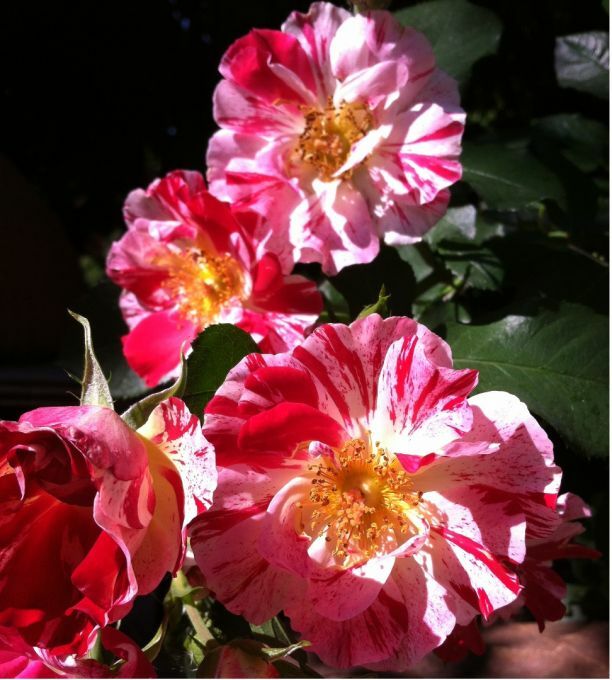 Our dyer Anne has captured the petals perfectly in ribbon!